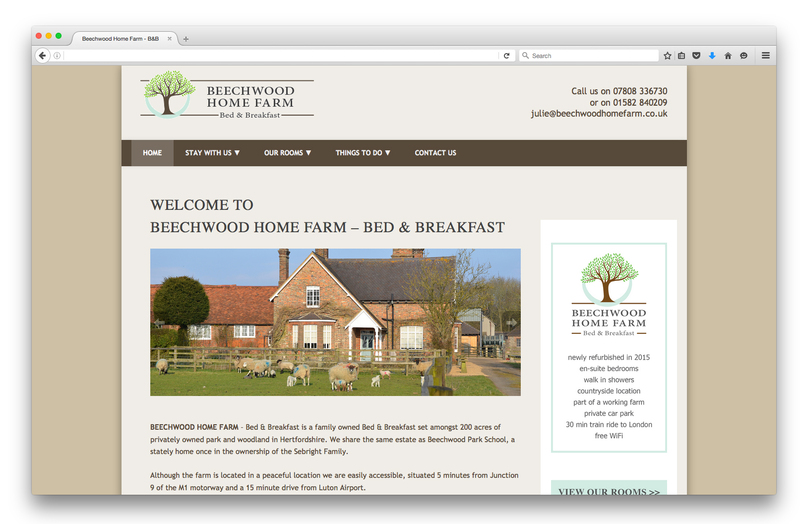 Beechwood Home Farm B&B, a family owned Bed & Breakfast, set within 200 acres of wood and parkland in the beautiful countryside of Hertfordshire. 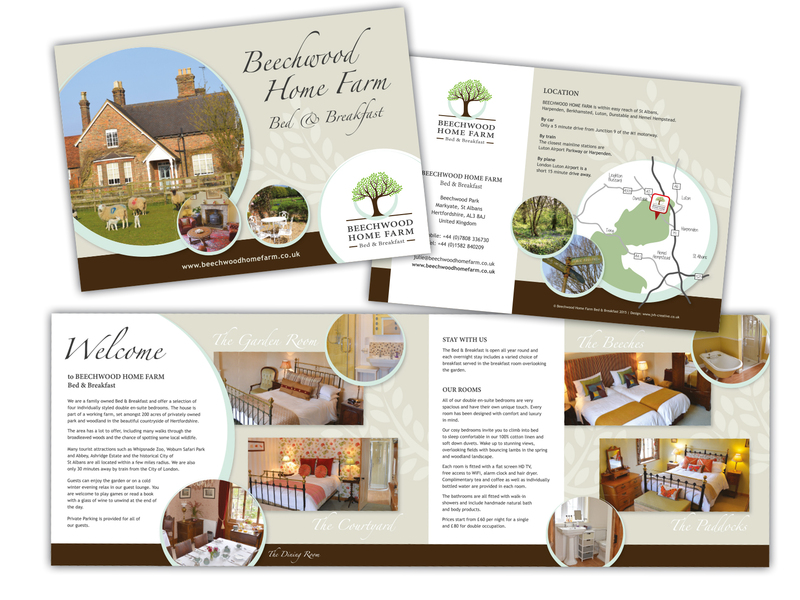 In 2015 the house went under a complete refurbishment and along with the new look of the house, JVH creative has been asked to create a strong brand for the Bed & Breakfast, reflecting the high standards and rural location setting of the house. 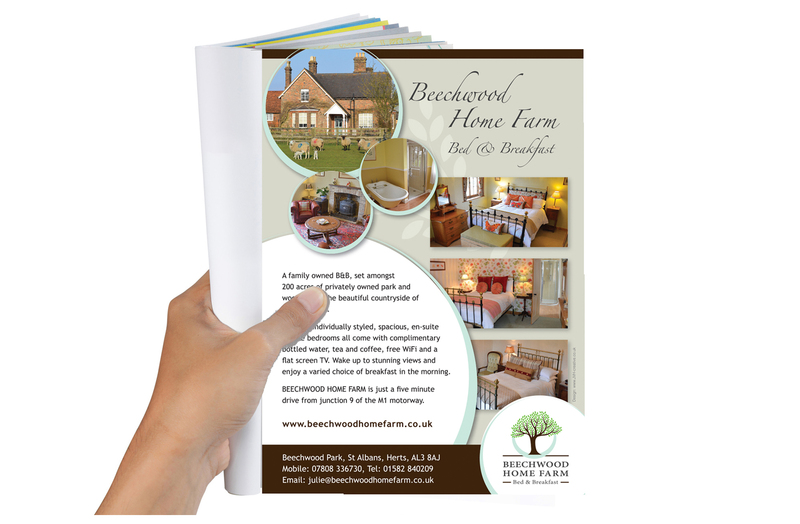 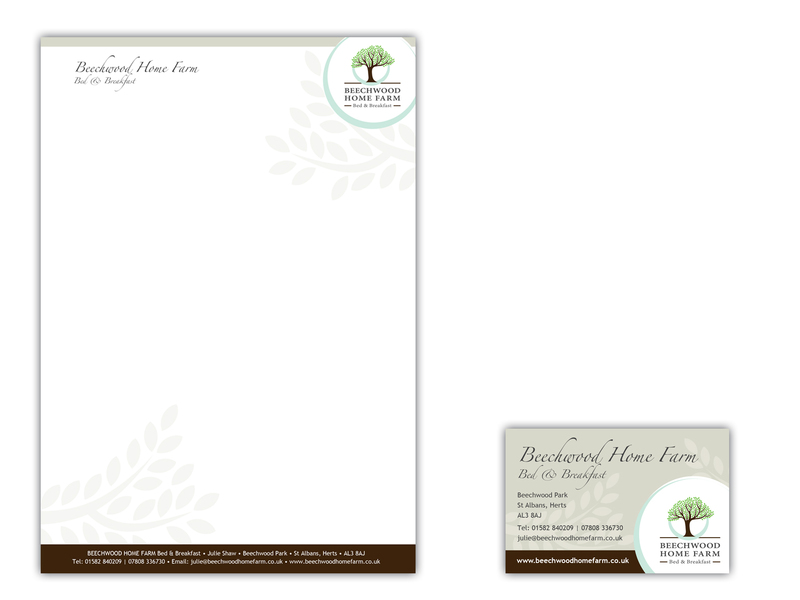 The brand identity has since been applied by JVH creative to various on- and offline marketing materials such as brochures, stationery, adverts and website. 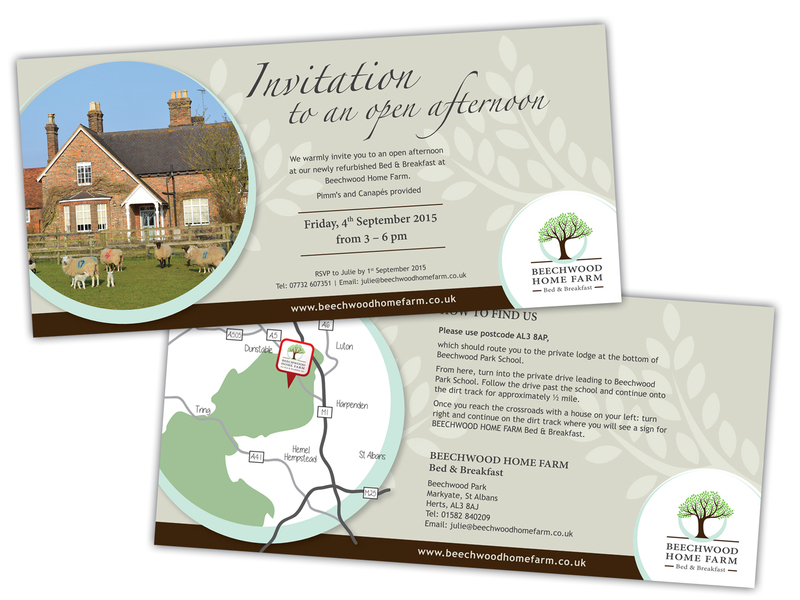 All photographs of the house, rooms and surroundings have been taken by JVH creative.